The CBI is investigating whether travel agents are using illegal software to trick the railway tatkal booking system into issuing tickets at a fast rate by evading the railways' own security checks, people familiar with the matter said today. The Central Bureau of Investigation earlier this week arrested Ajay Garg, a programmer who worked with the probe agency, for allegedly developing and distributing a tatkal-cheating software to travel agents for a price, CBI spokesperson Abhishek Dayal had said. Another software professional, Anil Gupta, was also arrested. The CBI suspects that similar illegal software as the one developed by Mr Garg could be in circulation among travel agents, and some of these illegal software could be bought from the online 'market' easily, news agency Press Trust of India reported. The software tinkers with the railway ticketing system by speeding up the booking process and allowing multiple tickets to be bought, people familiar with the matter said. They said the software called "Neo" developed by the arrested programmer is one of the many tools available online for a price. "All such software are under scanner. We are examining them and may soon take action, if any illegality is found in their operations," a CBI officer said. 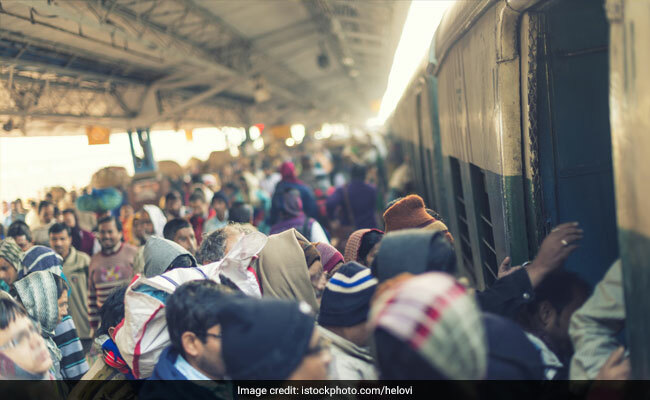 The software creates an auto-fill system where details of a large number of ticket-seekers are entered and kept ready even before tatkal bookings open on the ticketing authority IRCTC's website at 10 am for trains departing the next day, PTI reported. The illegal software then speed up the PNR-generating process, bypassing the IRCTC's captcha guard -- a feature to avoid spam -- and allowing login with multiple identities. A single click of the mouse will then book multiple tickets simultaneously. Users of the software can also enter computer networks illegally, investigators said. "Use of such software is illegal as per rules and regulations of the IRCTC and also under the Railways Act. It was also alleged that the accused was collecting money for the use of such software by certain booking agents and had amassed huge wealth from these activities," CBI spokesperson Abhishek Dayal said. Ticket bookings under tatkal quota open at 10 am for air-conditioned coaches and 11 am for non-air-conditioned coaches for trains departing the next day. Under the quota, a fixed number of seats in each coach are sold at a premium by the railways to travellers who need tickets urgently. A common complaint of passengers is that by the time they enter details on the IRCTC website or complete the booking process, seats under the tatkal quota gets full within minutes of the start of booking. Some travel agents offer to provide confirmed tickets under the quota by charging a premium over and above the railways prices, people familiar with the matter said. The arrest of Mr Garg and Mr Gupta has exposed the alleged software used by them to exploit any vulnerability of IRCTC's ticket-booking system, investigators said. Mr Garg, 35, joined the CBI in 2012. He had been working at IRCTC from 2007 to 2011.